Our maiden voyage in fitted-out The Gifted Gypsy has taken us south, just over the NSW border to Stokers Siding, where the Dancing Ground Festival is kicking up its heels this weekend. We travelled with Delcie and Alan and arrived on dusk. But the music and dancing had already started. 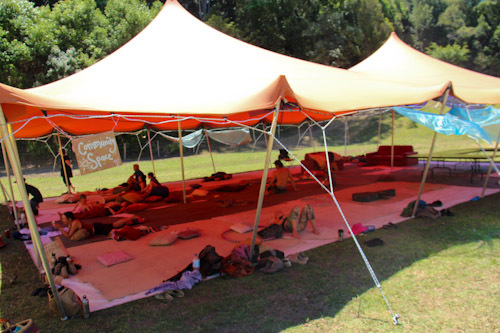 At Dancing Ground, 250 people come together for a weekend of camping, communal living and dancing. After the evening meal, we congregate for an opening ceremony in the main tent. This is one of the few formal events, it reminds me of so many other religious activities I've attended in the past. We're just waiting for the speeches to stop so we can party! When the music starts, free dancing is on, and it's hard to stand still. Delaney lays down at the edge of the canvas dance-floor and watches the movement and changing lights. 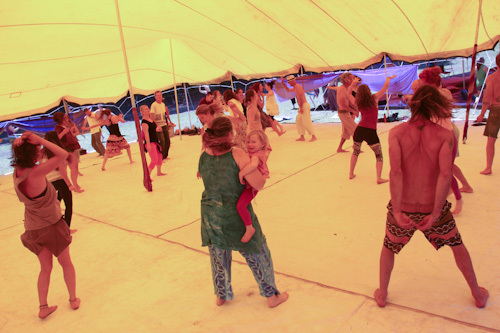 A festival like this one is more than a series of workshops and meals — it’s a mini-community of like-minded people coming together. 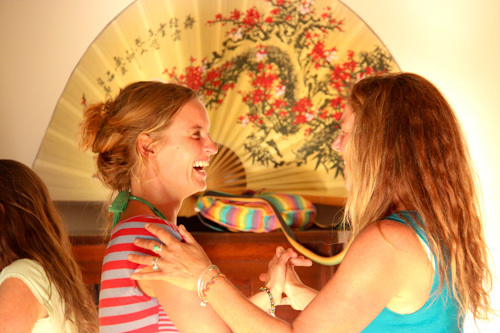 We usually find friends-in-common on matters of spirituality, travelling, values and interests. After attending a few activities like this, I see more familiar faces. 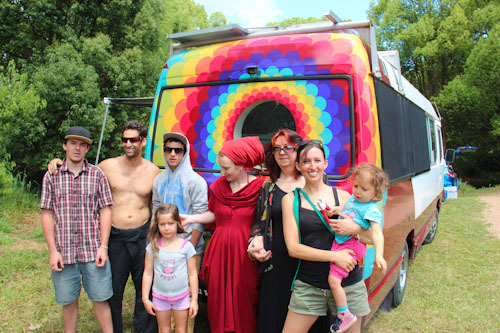 This weekend I saw friends from New Zealand, Rainbow Gathering, northern NSW and online. I was thrilled to also discover our friends the Pritchards were camping a couple doors up from us in a little cabin. We have spent time “camping with them before”: and their company (and Alan and Delcie) broke up the waves of loneliness that washed over me as I danced alone. 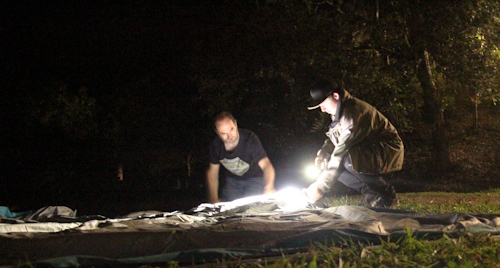 Back at the camp, Jayke helps Alan set up their tent in the dark. Later he fixes my awning tie-down ropes too. 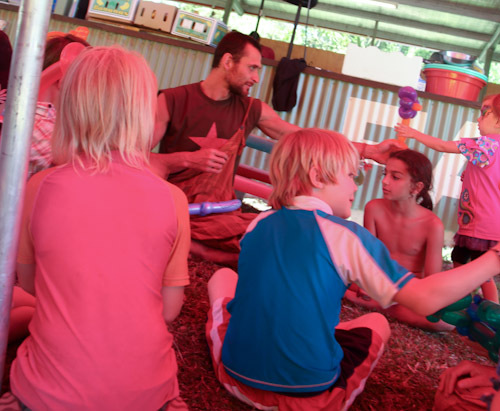 It's been wonderful to catch up with the Pritchard family at Dancing Ground! 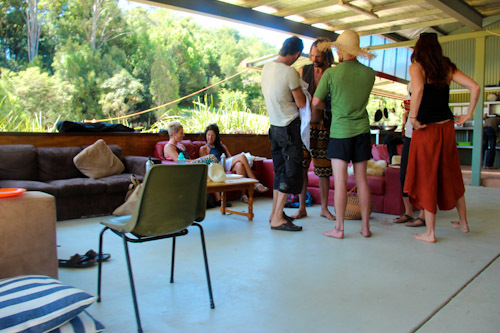 Although a series of workshops were on offer, they were offered to whoever came by the venue at the time. Children’s activities were held under a tent near the kitchen, and meals were cooked by caterers with the help of volunteers. Everyone who attended was asked to volunteer their services for a couple hours — this keeps the overall festival costs down and also is a terrific way of making new friends. Our girls didn’t participate much in the dancing activities. They were happy to sit on the side-lines and watch, stay around the bus or simply play in the natural bush surroundings. 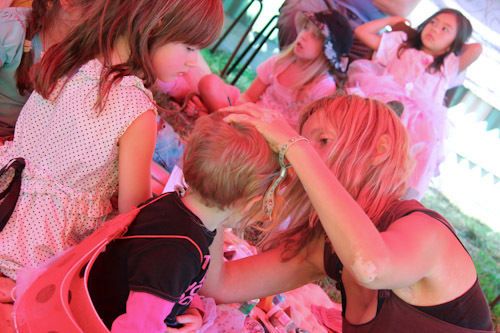 Elfie offers face-painting to the children who line up and wait patiently for their turns. 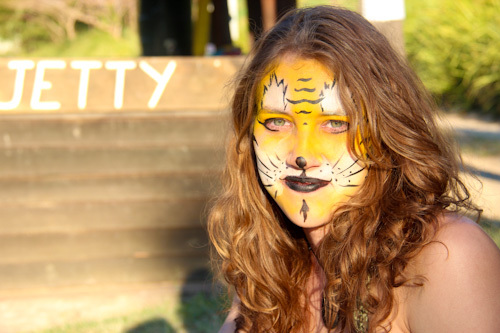 Some of Elfie's face decorations are truly spectacular. 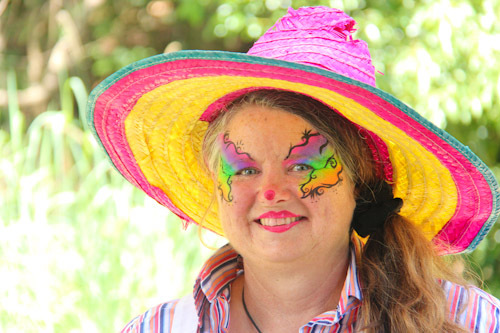 Our friend Delcie loves to dress as a clown and got her face painted to match! 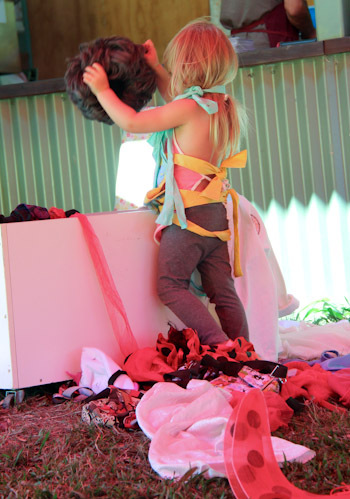 We bring along our big box of dress-ups and leave it in a public place for the other children to discover and enjoy. 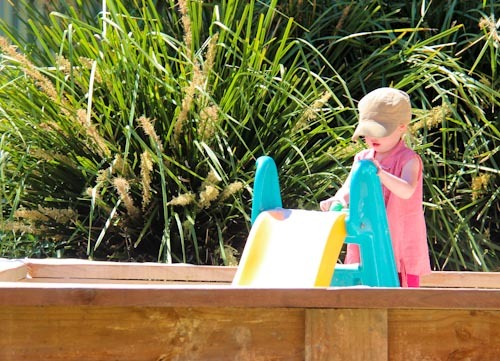 Ignoring the children's activities, Delaney loves playing the sandpit. Later, Delcie leads Delaney onto the dance-floor. 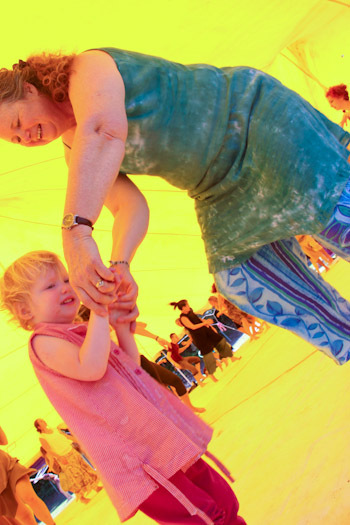 Although some of the workshops include structured dance, there are many free-dance opportunities. Each of the colourful tents are labelled clearly. 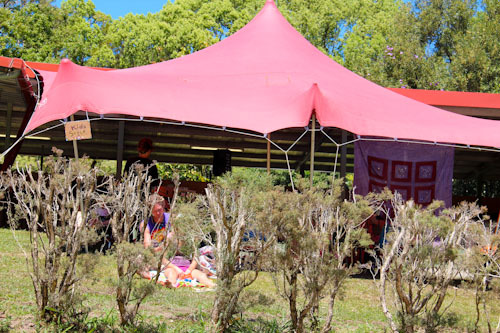 The community space tent gives people an opportunity to relax, and this is where we congregate for our shared meals. 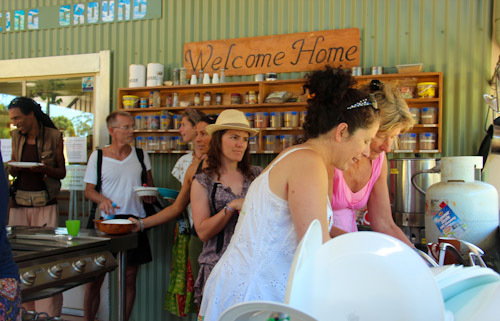 Although there are volunteers in the kitchen to wash up the cooking pots, as part of the communal living style, every person is responsible for washing their own plate and utensils. Up near the kitchen, a casual living area collects new and old friends. 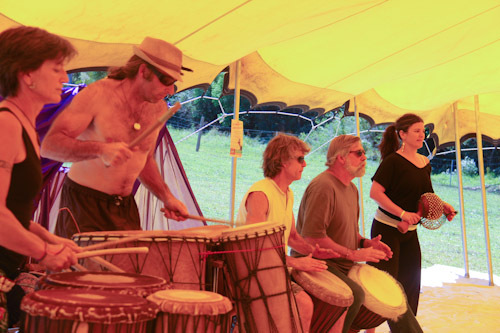 In the afternoon, the sounds of the African drums call to me from across the camp. 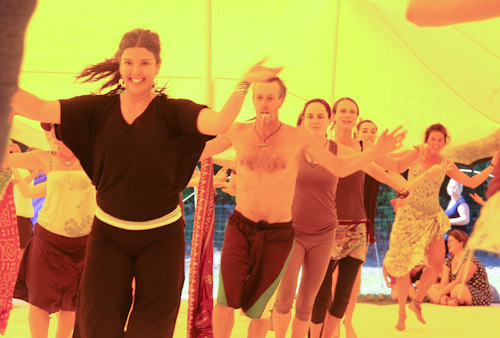 As the drums keep the beat, Vanessa leads two groups in an African tribal dance. Dariush fashions an impressive array of balloon animals for the kids. 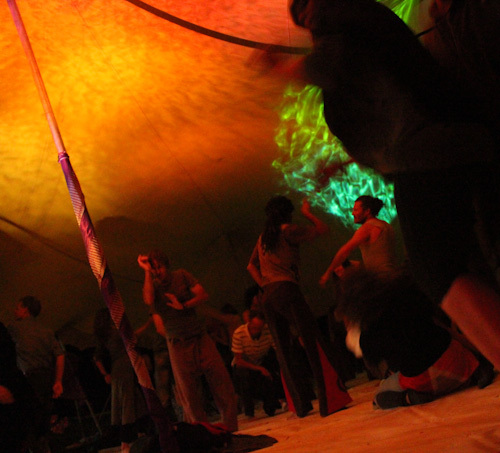 A green tent sits in a meadow and serves as another venue for dance workshops. 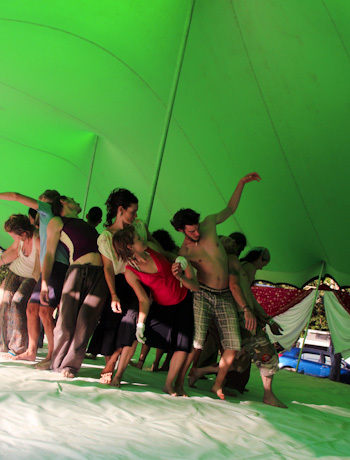 In Geometric Dance Lynx, the participants are encouraged to improvise a different sort of connection with the dancers around them. 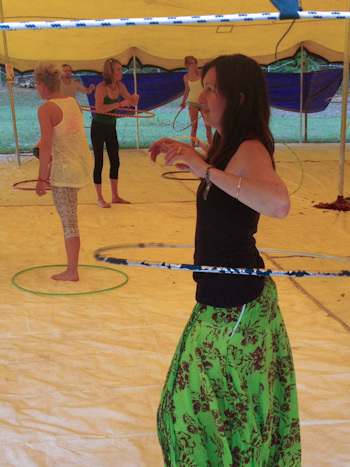 Sarah masters the hula hoop in a workshop offered by Deanne. 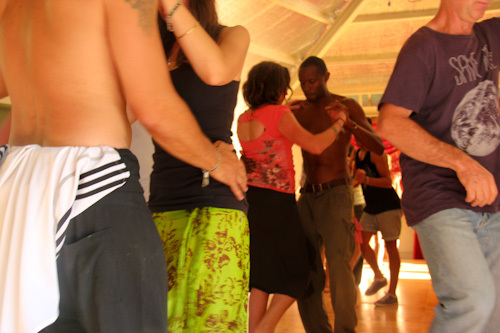 Couples pair up in a salsa workshop. Dancing is such an easy way to get into a good mood! I enjoyed my time at Dancing Ground, although I don’t feel like I really have gotten my groove back yet. It was also emotionally confronting to be around breastfeeding babies and lovestruck couples in the absence of both my baby and my partner. With time, I will be able to overcome these challenges, and perhaps by the time the next Dancing Ground happens, I’ll spend more time on the dance floor! I think it can be hard to go back to places where you were so happy once and have to find a new comfort zone there – you have done it now and every ‘first’ that you overcome without Elijah and David, you are one step further along getting used to things being different – whether they will feel any easier I can’t say but well done for going to things still – so many people hide away! Hey Lauren, I’m really interested to know if there’s a website or group I can subscribe to to receive notification about events such as these. They really interest me. I found out about Dancing Ground via a friend’s FB page. 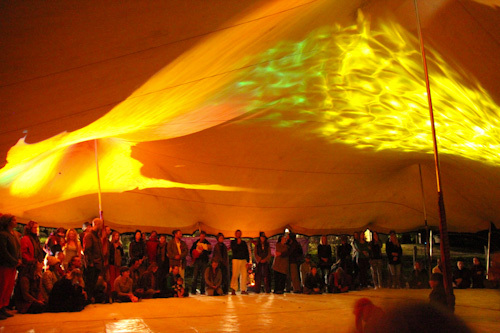 Certainly you can subscribe for updates on Dancing Ground’s website, but as for finding out about festivals en masse, I don’t know of a group like that. 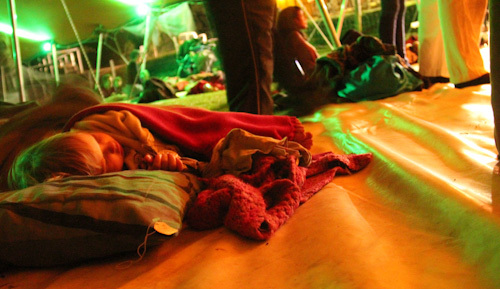 The festivals I know about are because they have been recommended to me by friends, and it seems that once you’re among festival-attendees, new names of festivals keep popping up! This is an amazing event. I feel trapped in my own life by my owncircumstances and admire the fact that you havn’t let your circumstances take away your freedom, or that of your girls.